Above: cover art for 25 LIVE! The BRIAN SETZER ORCHESTRA--led by iconic guitarist, songwriter, vocalist and three-time Grammy-award-winner BRIAN SETZER--have announced their exclusive Black Friday Record Store Day release, which further celebrates the band's 25th anniversary in 2017. Pressed on neon blue vinyl, the 12" single LP, 25 LIVE!, features two never-before-released live songs, "Let There Be Rock" (raucous rendition of AC/DC's classic track) and "Gene & Eddie" (a big bandversion of the Stray Cats song)andwill drop on Friday, November 24 with participating record stores. "When I wanted to try another musical idea and put BSO together, people just laughed at me," says BRIAN SETZER, looking back. "It feels like I've taken this monumental, impossible task and have been able to do this for 25 years. It's an incredible feeling." 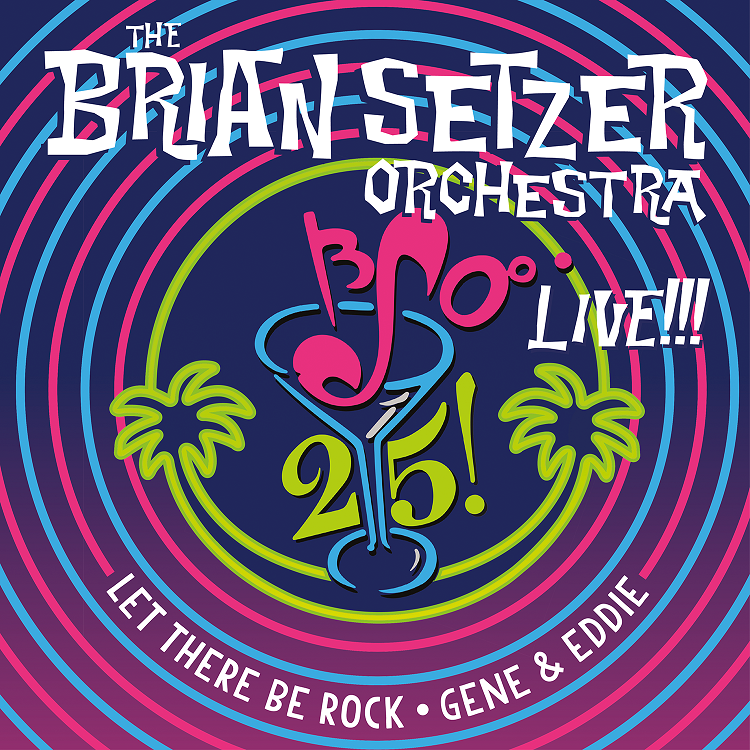 Earlier this year (August), THE BRIAN SETZER ORCHESTRA kicked off the celebration of their 25th anniversary in style with an exclusive landmark show at the Hollywood Bowl in Los Angeles. Under the stars at the legendary venue where they've performed twice before, SETZER's trademark guitar work and vocal stylings were matched with his 19-piece orchestra's rockin' big-band horn arrangements, making for an unbeatable combination. 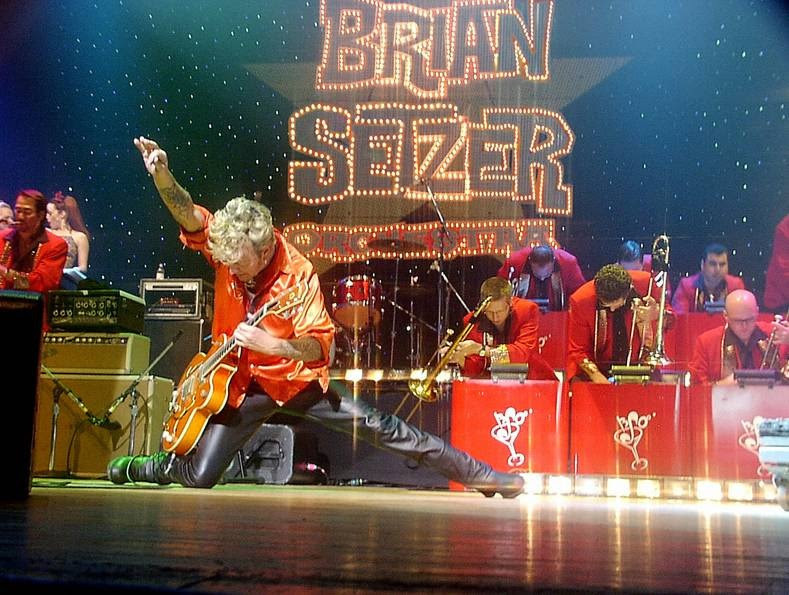 Currently, THE BRIAN SETZER ORCHESTRA are gearing up for the launch their 14thannual "Christmas Rocks!" tour. The national tour kicks off November 10 in Minneapolis, MN and will hit 34 cities before wrapping on December 28 in Bellingham, WA. Tickets are on sale now and all dates can be viewed here.